Judges in Spain have dismissed a case against four men arrested in 2005 for running a popular file sharing site, saying that file sharing is essentially the same as the age-old practice of lending books. The file sharing site CVCDGO.com went live in 2004 and soon found itself facing complaints of copyright infringement. 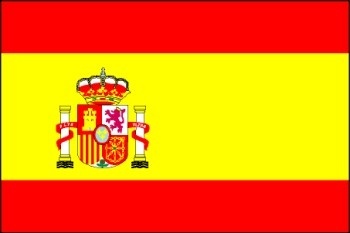 EGEDA, Spain's Audio-Visual Producers' Rights Management Association, alleged that the site allowed members to illegally download movies on peer-to-peer networks and that it made money through copyright violations because the advertiser-supported site had brought in roughly 11 million hits while it was up. Following an investigation, police shut it down and arrested its four founders in 2005. The case had dragged on ever since but has now finally come to a resolution. A panel of three judges has declared that, because the site did not actually host the files and didn't make money directly as a result of copyright infringement, no actual crime took place. The decision cannot be appealed. "Since ancient times there has been the loan or sale of books, movies, music and more," the judges ruled. "The difference now is mainly on the medium used - previously it was paper or analog media and now everything is in a digital format which allows a much faster exchange of a higher quality and also with global reach through the Internet." The ruling was a message to the government that there is a "red line that should not be crossed," said Carlos Sanchez Almeida, a lawyer for the defendants. "The judges have taken a stand for freedom on the internet."